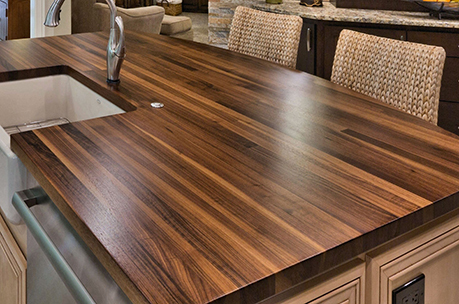 DNA Kitchens will design customized countertops that fit well with cabinets in the desired space. Our expert and competent staff may help you in choosing the right kind of stone that compliments your kitchen design. We give you the guarantee to offer high quality service. Have a look at our huge collection of materials such as recycled glass, quartz collections, wooden countertops as well as natural stone. This exclusive natural stone is widely used as building material for several centuries. It is a type of igneous rock which signifies that it is..
Like travertine counterto, I.estone tops too is consider. to be b.alternative option to granite countertops. Limestone is a type of natural stone and it is us.. for house in.rior as well as exterior the ration. It rous in nature. It is a type of metamorphic rock that is created when limestone is melted and it is allowed to get solidified once again. Effective sealing of marble countertops can make them resistant to all kinds of stains and it prevents etching at the same time. For precaution, you need to clean the spills immediately and you should not leave anything like wine, lemon juice, olive oil as well as water on marble countertops during the night. The countertops that are made from onyx are rarely seen in the houses. However they have stunning look and offer unique appeal to the viewers. Onyx countertop is often translucent and it is often light up in the back in order to enhance its beauty. This exclusive natural stone is widely used as building material for several centuries. It is a type of igneous rock which signifies that it is created during volcanic eruption. It is as hard as diamond and it is normally composed of feldspar as well as quartz and little amount of other types of minerals such as amphiboles, mica and so on. It is durable and it can only be cut with something that is harder than this stone. In fact granite can endure heat up to twelve hundred degree Fahrenheit. This stunning metamorphic rock is formed when sandstone is exposed to tremendous pressure as well as heat. It is hard in nature and it is highly durable. Plus, it can withstand heat in the best possible way. Quartzite is a type of exotic stone that looks like marble but it is more durable than marble. Get stunning stone look with inconsistent patterns with high quality kitchen countertops of DNA Kitchens. Unlike granite kitchen countertops, the countertops that are made from granite are durable as well non-porous and they also look quite attractive and wonderful. 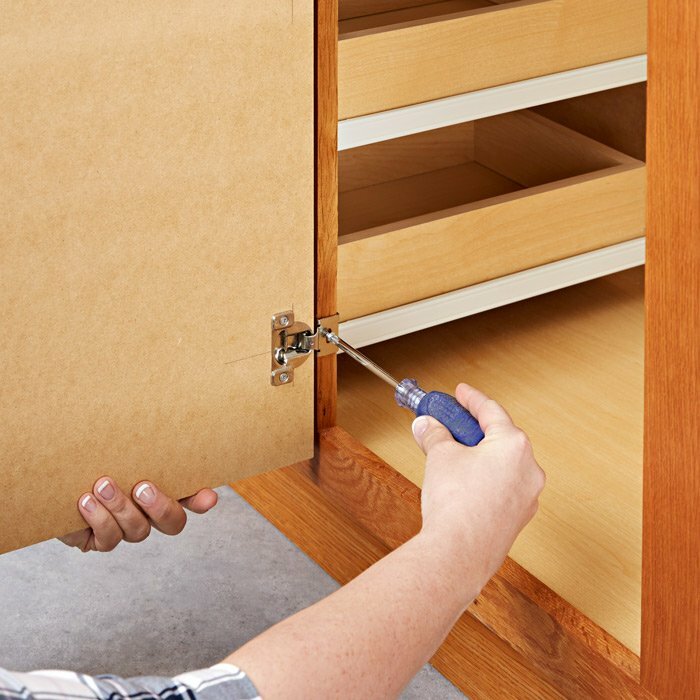 Plus, they do not require any sort of polishing as well as sealing on a regular basis. Made from combination of ninety three percent of crushed quartz or seven percent of resins or pigments, these wonderful quartz countertops can be produced in multiple colors. In fact, this color palette effectively depends on how roughly this material can be crushed. Being resistant to heat or scratch, the quartz countertops can be easily installed and they also call for zero maintenance. Just like granite, quart countertop seams can be visible, largely depending on size of slab. Because your kitchen countertops endures a lot of use, it should be above all practical, but that doesn't mean it can't be..
Quartz, which often mimics granite or marble, is a mix of mineral, color, and resin, offering beauty and toughness in a vast array..
Made from combination of ninety three percent of crushed quartz or seven percent of resins or pigments, these wonderful Hynes Points.. Being resistant to heat or scratch, the quartz countertops can be easily installed and they also call for zero maintenance. Just like..
it should be above all practical, but that doesn't mean it can't be aesthetically pleasing as well. It's important to strike..
Because your kitchen countertop endures a lot of use, it should be above all practical, but that doesn't mean it can't be aesthetically pleasing as well. It's important to strike that perfect balance between style and function, which is why durability, visual appeal and ease of maintenance are among the top three guiding factors for choosing the right counter. As you remodel your kitchen, consider all the materials — everything from high-end marble countertops to granite countertops and butcher block countertops. Quartz, which often mimics granite or marble, is a mix of mineral, color, and resin, offering beauty and toughness in a vast array of colors and patterns. It’s also one of the hardest materials in the world, making it a perfect choice for busy kitchens. If you’re considering quartz, here are some other features and characteristics. Made from combination of ninety three percent of crushed quartz or seven percent of resins or pigments, these wonderful Hynes Points can be produced in multiple colors. In fact, this color palette effectively depends on how roughly this material can be crushed. 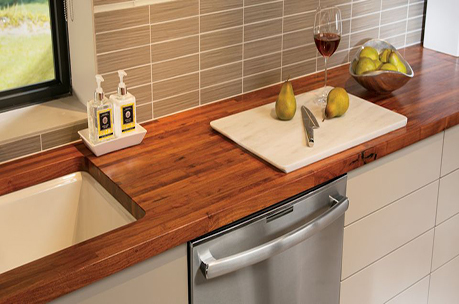 Being resistant to heat or scratch, the haynes countertops can be easily installed and they also call for zero maintenance. Just like granite, quart countertop seams can be visible, largely depending on size of slab. it should be above all practical, but that doesn't mean it can't be aesthetically pleasing as well. It's important to strike that perfect balance between style and function, which is why durability. DNA Kitchens’ recycled glass tops are prepared from nearly 95 percent recycled glasses in combination with semi precious stones in order to develop shinning and attractive surface like never before. At DNA Kitchens, we are fully committed to source materials that seem to be sustainable as well as environment-friendly. Plus, we provide a wide array of rich as well as wonderful colors that match with your kitchen or any other interior decoration r remodeling project..
Decorate your house with premium wood countertops that often add warmth as well as elegance to any type of décor. 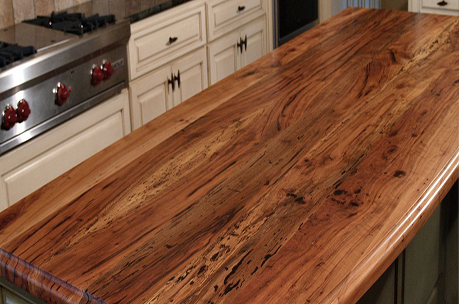 At DNA Kitchens, we use a wide array of wood countertops that cater to your kitchen or home design. 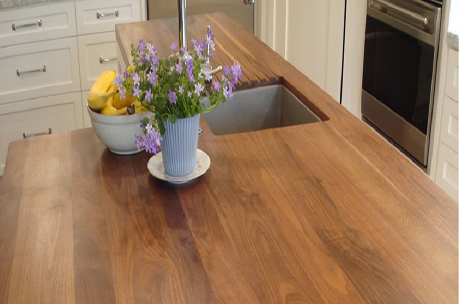 High quality wood countertops that we provide can be your best option because of long-term durability. They are water resistant and they even are resistant to heat or any kind of stain. They have non-porous finish that helps you to keep food products fresh and safe for quite some time. 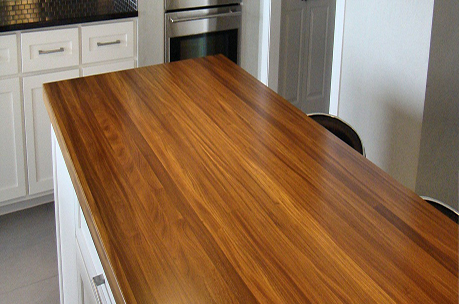 In fact, DNA Kitchens’ wood countertops seem to be designed to last for a prolonged period of time, thereby adding value to your house to a great extent. DNA kitchen is the leading kitchen installations service provider in the entire NYC area. We offer high quality custom kitchen designs and kitchen cabinets. We service Manhattan, Brooklyn, Queens, The Bronx and Staten Island.